No other modern country thrives in constant warfare the way Israel does. Rather than crumble from repeated attacks by hostile neighbors, the Jewish state tipped the scales in its favor with a huge conscript army supported by a world-class manufacturing base. The best proof of this remarkable convergence is Israel’s impressive tank fleet and its vanguard, the unique Merkavas. But examining the origins and development of its armored corps reveals many decades of hard lessons and improvisation. Often outgunned by its Arab foes, Israel spent years harnessing the knowledge and technology needed for producing tanks that could fight and survive against extremely dangerous adversaries. The results have been and very much are, for lack of a better word, spectacular. Israel’s desperate need for armor goes back to its War of Independence in 1948, when it relied on modified trucks and old French tankettes for leveling the odds. The urgent need to always have better weapons continued for the next 65 years. It’s a long and fascinating evolution that may never end. At least one ex-British M4A1 Sherman was used by Israeli forces in the 1948 war, where it fought against five armies with just 16 tanks. The three or four Shermans that were collected later in the conflict made a good enough impression to become the IDF’s tank of choice and hundreds were subsequently imported. By the 1950s Israel and France collaborated to upgrade these aging models with larger guns and engines. The IDF’s 300 or so Shermans, most of them imported from France, had a crucial role defeating superior Egyptian tanks in 1956 and 1967 but these were slowly retired from the 1970s onward. 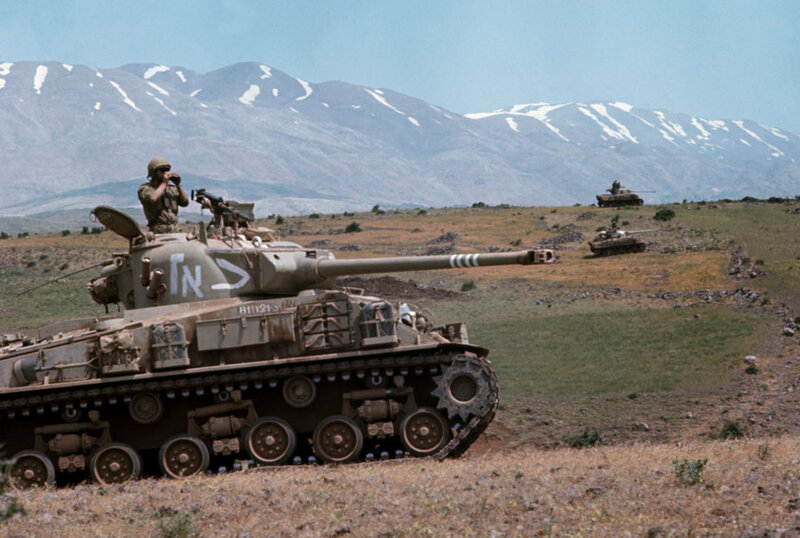 Israeli Sherman tanks had careers that stretched much longer than their American counterparts and a few were even passed on to Latin American clients and the South Lebanon Army in the 1980s. Maintaining hundreds of Shermans for a quarter century taught the IDF to repair and overhaul tanks and modify them into ambulances, mortar carriers, and self-propelled guns. Without a doubt, the Sherman was the essential building block of Israel’s tank corps. The best tanks the IDF could afford after 1948 were French. The combination of modest weight, a powerful gun, and an affordable price allowed Israel to buy a hundred AMX-13’s, which enjoyed a long heyday in the 1950s and 1960s. 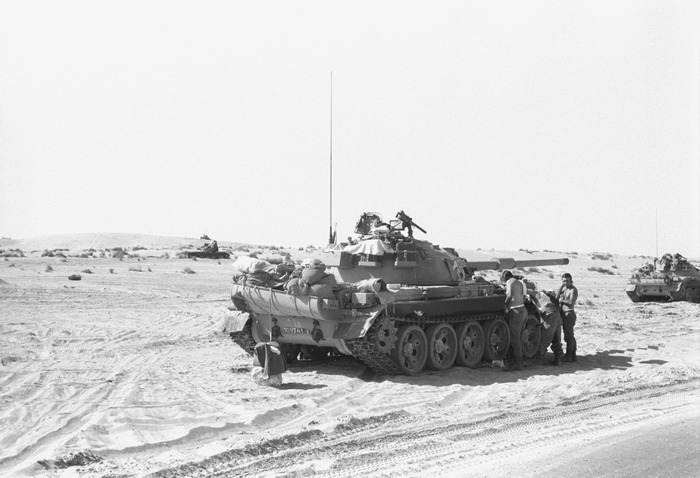 Israeli AMX-13’s saw lots of action during the Suez Crisis and the Six Day War in 1967 alongside Shermans and Centurions. The AMX-13’s 75mm gun was much appreciated by Israeli crews, who faced off against heavier Soviet T-34/85’s and the occasional Stalin tank. But the advent of the prolific T-55 posed a serious threat to the IDF’s ability to win wars. Thousands of these Soviet medium tanks were delivered to Egypt, Iraq, and Syria. The IDF’s AMX-13’s were all retired by 1969. Several dozen were exported to Singapore in the late 1960s though. Israel’s strong ties with Britain endured despite the acrimony leading up to the 1948 war. 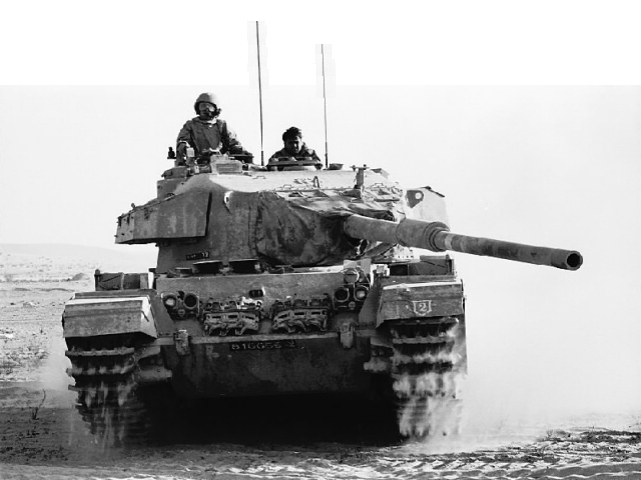 But it was surplus British armor that enjoyed the highest demand from the IDF during the 1950s. Be they universal carriers or scout cars, almost every type of British military vehicle had a valuable role in the Israeli arsenal. The disastrous outcome of the Suez Crisis in 1956, when British and French forces tried and failed to capture Egypt’s world famous canal, didn’t wreck ties between London and Tel Aviv. On the contrary, some 300 Centurion tanks were delivered to Israel between 1959 and 1965. These were the legit Cold War-grade Mk5 variant. The Centurion Mk5’s L7 gun allowed the IDF to prevail in the Six Day War and saved the Galilee from Syrian tanks in the Yom Kippur War. But anti-tank weapons like the RPG-7 and the Sagger missile wrecked numerous Centurions. New and better tanks were still needed and by the 1980s the IDF’s remaining Centurions either became museum pieces or got converted into APCs. The victories against the Egyptians and the Syrians in 1967 and 1973 left the IDF with some very peculiar spoils–hundreds of abandoned and damaged T-55 tanks. Some of these were pressed into service and upgraded with a larger 105mm main gun. For the IDF to add another foreign tank model in its vehicular fleet, which already featured AMX-13’s, Centurions, Pattons, and Shermans, wasn’t out of the ordinary. Israel’s access to spare parts and munitions from its suppliers wasn’t always guaranteed and as the desperate 1973 war proved, losing so many tanks at once was too heavy a price for the IDF. The IDF’s expertise at upgrading the T-55 was either copied by or shared with other countries during the 1980s. China in particular learned to improve the PLA’s Type 59’s and 69’s with the same features as the Tiran. Israel’s experience with overhauling old tanks allowed it to play around with the more exotic models in its fleet. As larger Merkavas and Pattons entered service, the plentiful stocks of T-55’s were disarmed and converted into “heavy APCs.” These were necessary innovations when the IDF decided to reinforce a buffer across Southern Lebanon. The Achzarits and their counterparts based on old Centurion tanks served in lieu of fancy infantry fighting vehicles that were so popular across Europe 40 years ago. 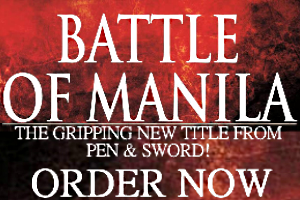 The novel concept was still relevant during the IDF’s campaigns against Palestinian terrorists in the Gaza Strip and the West Bank. 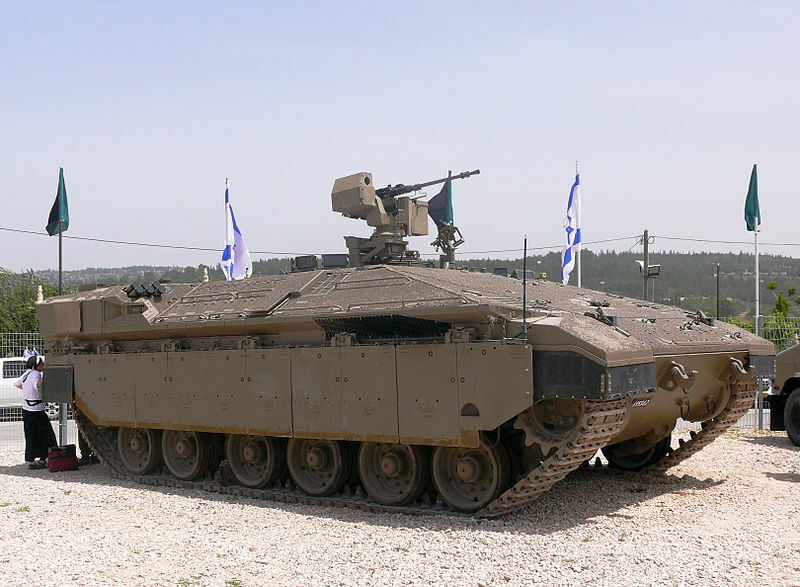 The success of the Achzarit would also influence the development of similar vehicles, like the Namer, which is a turretless Merkava used as an infantry transport. Other countries did the same at the turn of the century. Heavy APCs are now assembled in China, Russia, and Ukraine. As Israel’s reliance on Western European allies diminished, its newfound partnership with the US after 1967 quickly blossomed into a codependency that endures till the present. 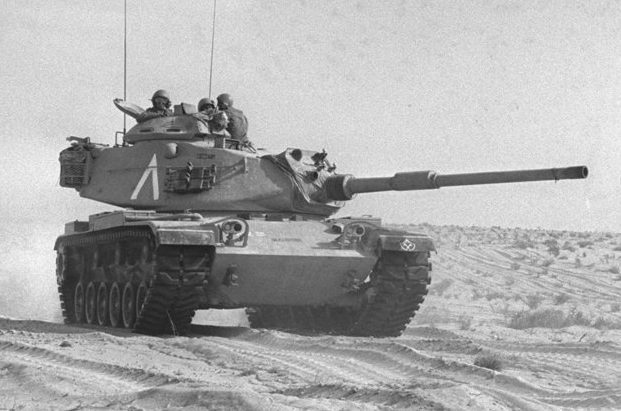 This connection was smoothed by the role of 200 M48A1 and A2 tanks in the Six Day War, when they complemented the older Shermans and Centurions. The IDF actually had no more than 800 tanks at the time and many survived the war. 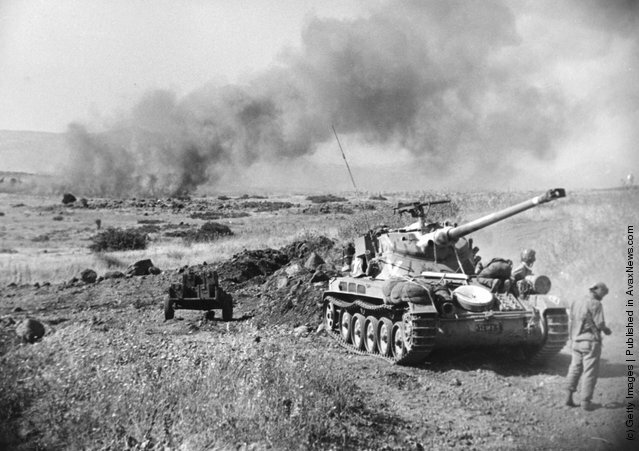 Hundreds more M48 tanks eventually reached the IDF before the fateful Yom Kippur holiday in October 1973, when the Sinai and the Golan Heights were simultaneously attacked. The M48’s performance characteristics meant it was deployed in the southern border with Egypt while the older Centurions were arrayed against the Syrians in the north. The M48 proved an excellent tank for its time and the IDF armed them with a 105mm gun. But it fared poorly against Soviet anti-tank missiles during the Yom Kippur War when Israel may have lost half of its 500 Patton tanks. These were replaced by US Army stocks airlifted to the beleaguered Jewish state. The IDF squeezed extra years into their M48’s with Magach upgrades (1, 2, 3, 4, and 5) involving reactive panels. But most were already being retired in the 1980s when the newer Merkavas arrived. One of the most painful lessons from Israel’s five major wars against its Arab neighbors (1948, 1956, 1967, 1973, and 1982) was the threat posed by huge tank armies. Since Israel’s terrain didn’t offer any natural defenses the best way to not lose ground was for the IDF to have more weapons. An IDF veteran, Col. Benny Beit-Or, believed missiles were the solution. The Pereh is an ingenious approach to a force multiplier–using an M48 tank to carry long-range missiles. The tank’s external weapons are actually decoys. The point is to have the Pereh join regular tank columns and then engage multiple targets with its Tamuz 2 missiles. Only two units of the Pereh were deployed guarding Israel’s northern and southern borders. The extreme range of the Tamuz 2, now called the Spike NLOS, meant the Pereh‘s existence had to be kept under wraps. It remained a closely guarded secret for almost 35 years until photos were leaked (then confirmed) in 2015. These missile carriers were used extensively in 2006, 2008, and 2014 for ground-based precision strikes. It’s still unknown whether Pereh‘s are in service or not. Israel’s deep relationship with the US meant that it has been lavished with arms sales and military aid for almost half a century now. One of the earliest transactions involved 150 M60 Pattons delivered to the IDF in 1971. More than a thousand M60A1 and A3 Pattons were transferred to the IDF after 1973. Many fought in Lebanon during the 1980s. Until the arrival of the Merkava 2 the M60A1/A3 was the IDF’s best tank. It was clearly superior to the T-55 and T-62 and its prominent turret offered a degree of gun elevation that made the M60A1 a good choice for static defenses. The constant threat posed by T-series tanks and RPGs forced the IDF to keep upgrading its M60’s with armor modules. 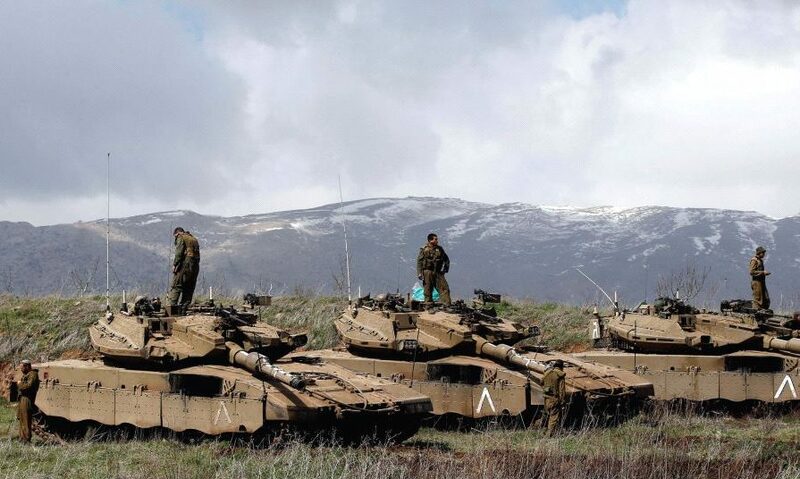 It remains unclear whether IDF Pattons or Merkavas were responsible for annihilating Syrian T-72’s with ease during a fateful engagement in Southern Lebanon. 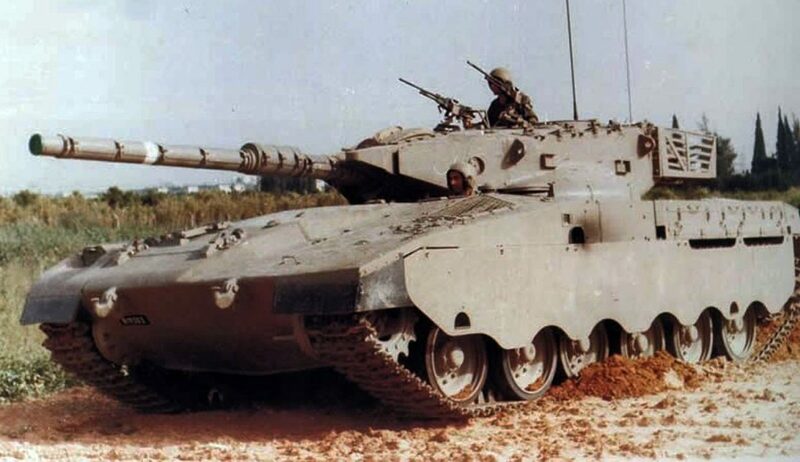 The reputation of the M60A1 in Israeli use is far from stellar though; the same tank was delivered to several Arab countries and even Egypt received thousands more Pattons than Israel. The M60A1 and A3 did have a few glaring flaws between them. Its poorly designed hull exposed the tank’s sides to enemy fire. Worse, the armor thickness around the turret was inadequate against shaped projectiles. Given its deep experience upgrading different types of armored vehicles, the late 1980s to the 1990s saw Israel install new protective layers on its Patton tanks. 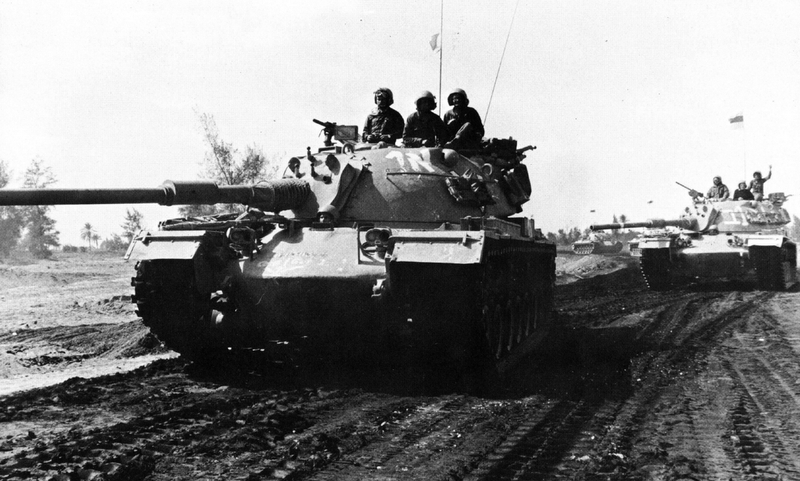 Since the Magach originated with the M48 tank, the same techniques were applied to the M60 and these were called the Magach 6 and later the Magach 7. The emphasis of either was always on more armor to thwart RPG-7’s and anti-tank missiles, a deadly combination used by the Syrians. The IDF also prized accuracy and computerization to give their tanks an edge over the obsolescent models used by Arab armies. The Magach 6 and 7’s were for domestic use, however, and Israel never bothered finding customers who’d pay for them. The Sabra represented one of the most comprehensive upgrades for the M60 and its lineage. A combination of reactive panels and spaced armor were added to the tank’s glacis and turret, making it capable of absorbing direct hits. A new 1,000 horsepower engine increases its mobility and a digital fire control system allowed the crew to fight better. This was further tweaked with the Sabra Mark 2. But since the IDF no longer fielded large numbers of its Patton tanks by the 1990s, the Sabra became an export instead. Thousands of M60A1 and A3 tanks in Europe and Asia gave it a sizable potential market. 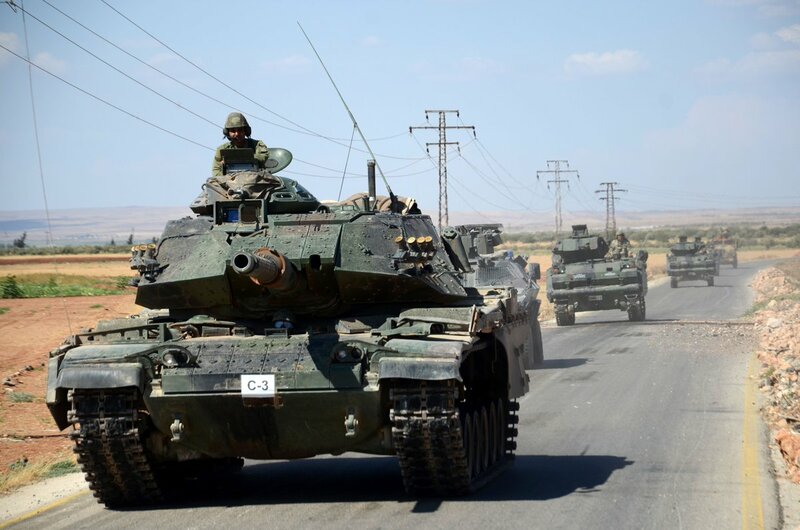 Many of the Sabra’s features were fitted onto the Turkish Army’s M60A3 tanks and these saw combat in Syria and Northern Iraq between 2014 and 2017. The investment paid off in 2016 when an upgraded Turkish M60 survived a direct hit on its turret from a Kornet missile. A handful of companies today can provide upgrades for the venerable Patton tank. But so far, Israel has the best to offer. The IDF’s yearning for a locally made tank dated back to the 1960s. This was driven by the shortage of spares and replacements for its prized Centurions. Since the IDF didn’t have enough of these dependable British tanks, the rationale went, perhaps it was best to build its own. Israel’s indigenous tank program began in 1970 and the shock of the 1973 war together with the learning curve involved for assembling a large tracked vehicle made it last a whole decade. Conceptualizing this mystery tank fell on the decorated Major General Israel Tal. 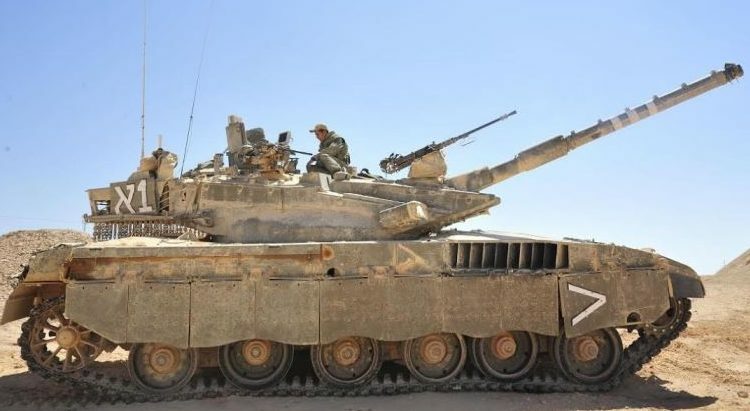 The Merkava program was a boon for industrialization, since 212 local companies became subcontractors for the IDF, whose engineers assembled the tank in its spacious maintenance depots. The first Merkavas entered service in 1979 with minimal armor and a 105mm main gun. Contrary to popular belief, it was doubtful the Merkava could hold its own against NATO tanks at the time like the Chieftain or the Leopard 2. The Merkava compensated with clever design, such as peculiar side skirts for protecting its flanks. The turret’s arrow shaped layout offered more visibility despite having a small profile. The location of the engine at the front of the tank freed up space for its crew compartment, where shells were stored in separate magazines. A small door behind the tank allowed crew members to safely enter and exit as well as load supplies without climbing on the hull. The Merkava’s combat debut in Lebanon highlighted its strengths–like accuracy and firepower–and weaknesses against enemy tanks. It wasn’t impervious to shaped charges but it did preserve the well-being of its crew. The production of a better variant started in 1983. The IDF’s occupation of Southern Lebanon exposed the Merkava tank to many unfamiliar threats. It isn’t surprising that improvements were later rolled out. The Merkava 2 entered service in 1983 and featured a new turret whose dimensions were enlarged by panels of spaced armor welded together. The stowage bins on the turret bustle were also reinforced and had iron balls hung around their edges to deflect incoming rounds. The Merkava 2 retained the 60mm mortar installed within the turret. This was meant for short-range fire support involving squads of infantry. Other changes on the Merkava 2 were a new engine, suspension system, and digital fire control system. When equipped with machine guns on its turret roof the Merkava 2 qualified as the most heavily armed tank in the world. All Merkava 2’s were retired from front line units in 2015 and placed in the reserves. It was probably the most advanced tank to emerge from the 1990s. The Merkava 3 never fought in any major wars but it did have the necessary hardware to trounce inferior Soviet leftovers tanks that were found throughout the Levant. The Merkava 3 arrived at a time when the IDF’s superior technology enjoyed no competition in the Middle East. Indeed, its virtues made it a peer to NATO’s iconic third-generation MBTs, the Abrams and the Leopard. The Merkava 3 was an excellent tank, featuring better armor than its predecessor and a 1,200 hp engine that increased its combat performance by a significant margin. Its firepower was increased as well with a 120mm main gun. Only 500 Merkava 3’s were ordered by the IDF and these were supposed to augment several hundred older Merkava 2’s. If the Merkava 3 did have a significant drawback, it wasn’t its excessive weight or appearance, but its price. 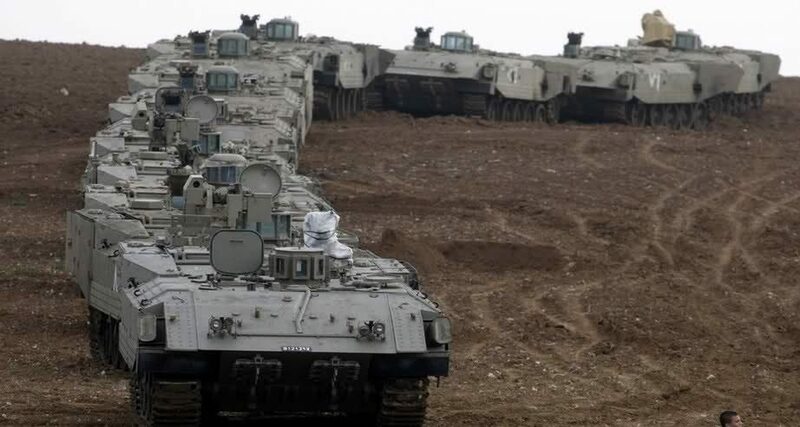 Almost ten years of consistent budget cuts left the IDF with a thousand Merkava tanks whose numbers were never augmented until 2013, when manufacturing resumed. The latest iteration of the Merkava known as the Barak could be the most sophisticated tank in the world for two reasons: First, its battle management software is unparalleled, being able to automate many of the mundane tasks of the tank commander and his gunner. Second, it uses the Trophy hard-kill active protection system that’s able to detect and eliminate incoming warheads. This was a feature added to the tanks from 2010 onward. Of course, the Merkava 4 that entered service in 2004, weighing a colossal 65 tons, seemed to have no equals in Europe or Asia. 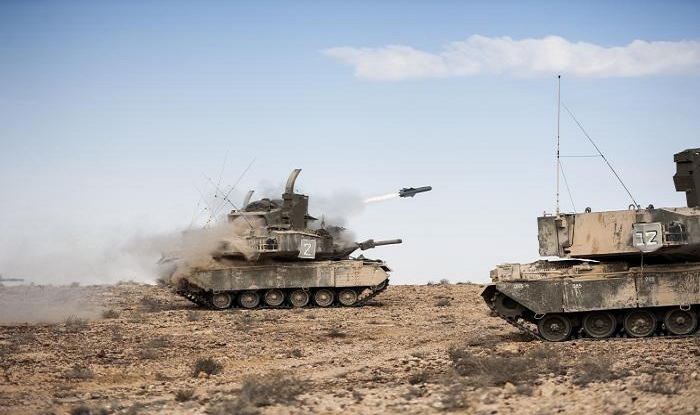 But the first batches of the Merkava 4, which were devoid of anti-tank missile countermeasures, suffered a rude awakening in the 2006 war against Hezbollah when almost half the IDF tanks deployed in Lebanon received direct hits from missiles. This bitter experience didn’t harm the IDF’s fondness for its best tank. Despite problems with its German diesel engine the 400 Merkava 4’s now in service will stay on until the late 2020s. 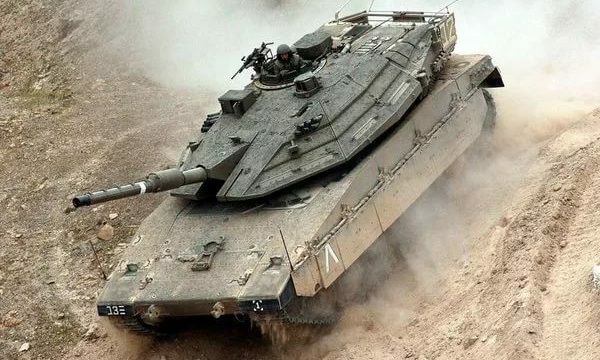 It’s a pity Israel never exported a single Merkava, though it’s rumored a Southeast Asian city state did buy a few. Maybe this is for the best. 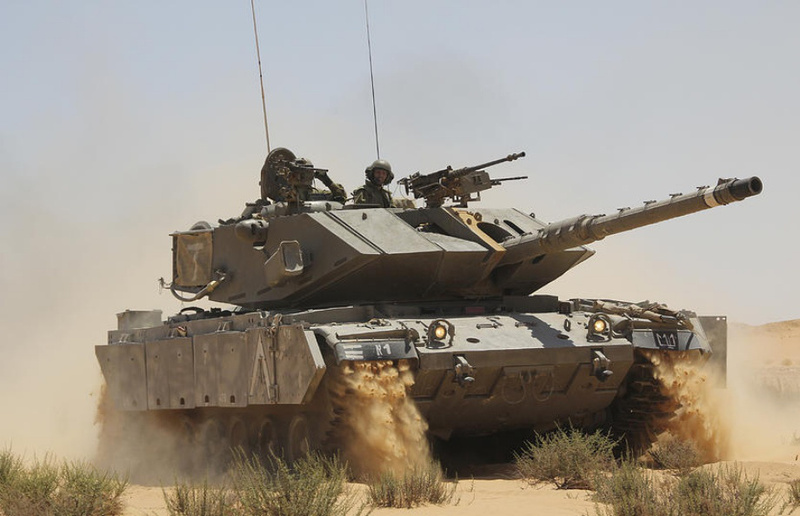 Take it from Lieutenant General John Murray–the Merkava 4, along with the British Challenger 2 and Russian T-90S, ranks as an equal to the US Army’s beloved Abrams tanks. The Merkava was spun off into an IDF favorite in the 2000s. 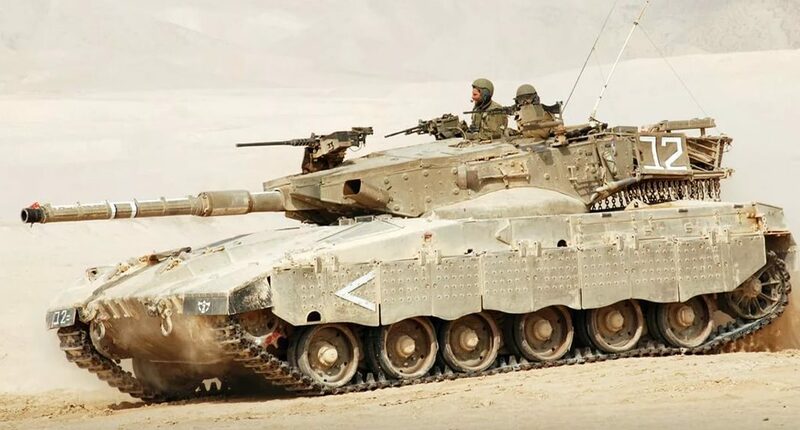 Just like the Sherman and Centurion tanks before it, applying the same principles that made the Achzarit so successful, the Merkava’s components were used as the basis for a troop carrier. Assembling this new APC is divided between General Dynamics Land Systems and Israel’s Tank Production Office. Owing to its dimensions and weight the Namer that entered service in 2008 is the heaviest mechanized vehicle in the Middle East. This is intentional. As the 2008 and 2014 battles against Hamas showed, Israeli troops are at risk from rocket and sniper fire in their usual transports–old Humvees and M113’s. The Namer, on the other hand, proved its worth during Operation Protective Edge. It isn’t surprising to learn the Namer was tested by the US Army in 2012 as an alternative for the M2 Bradley IFV. Armed with a single remote controlled .50 caliber machine gun, the Namer can insert commandos into a high risk urban area and even evacuate casualties without succumbing to direct hits from armor piercing rounds and shaped warheads. Since only a few hundred are used by the IDF to date, no Namers have been lost in combat so far. A long and critical view of Israel’s dependence on tanks reveals a few uncomfortable, but not too surprising, insights. For one, the IDF never mustered enough strength to overwhelm conventional Arab armies. The wars fought between 1948 and 1973 often had Israel on the ropes, with its hodgepodge arsenal facing superior numbers and technology. The Merkava itself needed a long gestation period before it was rolled out and its first models were far from invincible. It still took decades before its best variant, the Merkava 3, could be ranked ahead of contemporaneous MBTs. But the consensus in the IDF today is there won’t be another big war–savvy guerillas rather than armored divisions are the main concern, so vehicles that are both agile and tough are the next benchmark. Not surprisingly, the likelihood of a Merkava 5 seems dim. But the IDF knows the inherent dangers of Israel’s strategic conundrum. With the Middle East wracked by chaos, everything from anti-tank missiles to improvised bombs and third-generation tanks are rapidly proliferating across the region. So the Merkava, along with the rest of the IDF’s arsenal, must keep changing. Nothing less than Israel’s survival is at stake.